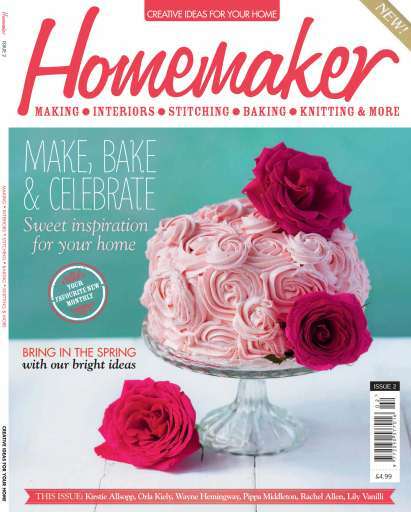 Breathe new life into your home with issue two of Homemaker, featuring a royal treat from Pippa Middleton and upcycling advice from homes queen Kirstie Allsopp. Issue 2 is bursting with fabulous fresh ideas and exclusive advice from interiors experts including blogger's favourite Holly Becker and pattern fan Orla Kiely. Transform tired furniture from drab to fab with Amanda Walker's sensational scraps project and tackle any stitching stresses with our sewing SOS special. Plus, we catch up with our baking guru Eric Lanlard, and Wayne Hemingway reveals his passion for vintage in his exclusive column. 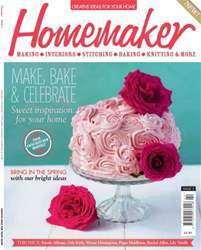 Shake off the winter blues and get ready to spring into 2013 with Homemaker.